D Day. Demolition Day. You know it’s about to start when you look out your window and see two, three, maybe even four men in your driveway, all wielding sledge hammers. This is the signal that it’s time for you to leave. Do not stay home while the physical demolition is happening to your project. Nothing sounds louder and scarier than the sound of your home being bludgeoned by big, burly strangers swinging hammers at walls, floors, and whatever else was remaining to be removed. It is too painful to watch, and if you choose to listen, your imagination will run wild: “Was that a pipe I just heard burst? Were those cracks in my ceiling before?” Oh the horror of it all. Instead, chose to make D-Day more of a Me-Day. Go get a great latte and read all the papers at your local coffee shop. Have a long lunch with your Designer and review all the selections you’ve made for your project. Go peruse your favorite shops and start to select any new accessories you will need. Good design takes time. Use D-Day as the perfect time to check off some of those To-Do items on your project list or just use it as the time to stay sane during a very insane time. It’s hard to believe that an entire year’s gone by since last year’s Dwell show! Last year was Monogram’s first year at Dwell, and we were overwhelmed by the great response from both designers and homeowners at the event. This isn’t your typical tradeshow – it really is one of the only places in the industry where high-end designers, consumers, and manufacturers can get together and talk about the latest trends in design and innovation. With that in mind, we at GE Monogram took a slightly different approach to Dwell this year. We are a company of designers and makers, and we wanted to share with the design community a little bit of the behind-the-curtain magic that goes into our products . We know that you put more care and attention into the layout and design of your kitchen than most people realize. We get it, because we have the same passionate debates about the draft angle on a door chamfer or the intensity of an LED lighting solution that you do about all the little details in your home. We’re thoughtful about our design because we know designers and homeowners are as well – so let us tell you a couple stories about how we designed some of our most impressive products. I can’t wait to see the newest design trends on display – the stuff that’s really pushing the envelope. This is where you can see the latest and greatest in product and home design, and I know I’ll go home with a few hundred pictures of the best new ideas. 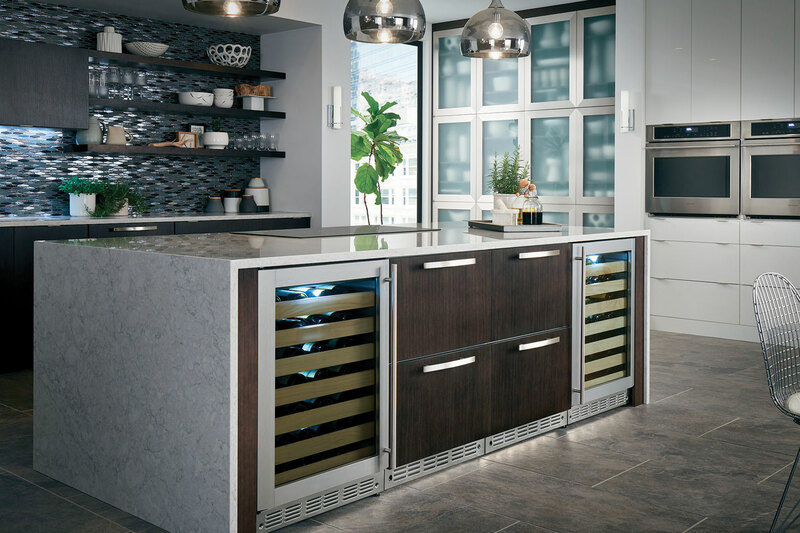 I’m also excited to see our very own Lou Lenzi (head of Industrial Design) talk about a pretty fascinating trend on the horizon – the micro–kitchen! For years it’s been “bigger is better,” but things are starting to shift and it opens up some truly fascinating design challenges. So come see us, let us tell you some stories about how we design our most innovative products, and sample some wonderful cooking from Chef Martin Yan while you’re at it! Does your kitchen look this outdated? Tired of looking at your outdated kitchen? 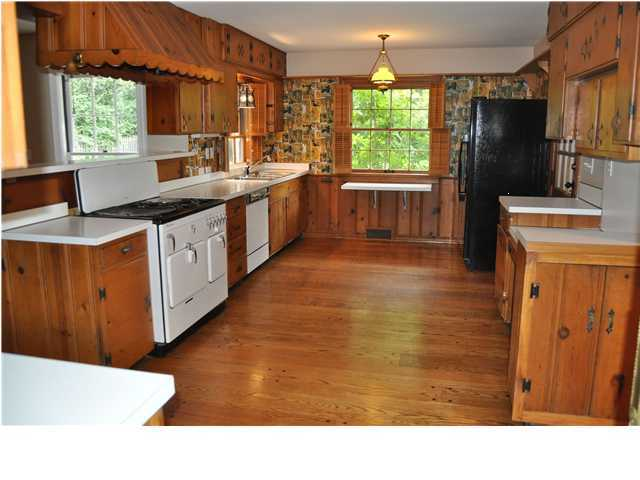 Or maybe you just bought a house whose kitchen hasn’t been updated since the Nixon Administration? Either way, you are in need of a remodel! For many, a kitchen remodel can be a daunting task. You may feel overwhelmed with all the decisions, having to convert your guest bath into a makeshift kitchen, all while feeling like you are spending money like it’s going out of style. Just remember, it’s finally your time to get the kitchen of your dreams! Hiring a designer should be #1 on your list when starting your kitchen renovation. Did you know that typically a professional designer only represents about 4% of a total project budget? Having a professional designer can save you time, money, and worry. Many people will get referrals from friends and family who have already been through the same process. If you secretly covet your neighbor’s kitchen, why not ask them who designed it! For a designer, a kitchen project is like a work of art… they will be great at making yours unique! National Kitchen and Bath Association: http://www.nkba.org/Design/Homeowners/ProSearch.aspx. NKBA’s ProSearch allows you to search kitchen and bath professionals near you. After you search, you are able to refine the search for designers. Many times the designer’s website will be listed so you can check out their work. American Society of Interior Design: http://www.asid.org/. ASID’s Find a Designer is located on their homepage where you can search for residential designers in your area. I would recommend taking it a step further and typing kitchen into the key words. This will help you find a designer that specializes in kitchen design. From there, many of the designers will have a profile page which gives info on their business and hopefully images of some of their products. Lastly, one of the greatest websites since the invention of the internet is www.houzz.com . Today, Houzz is the leading platform for home remodeling and design. On Houzz’s homepage, there is a “Find a Pro” link. From here, you can search “kitchen designers” in your area. You can also find architects, contractors, builders, etc. Once you search, many of these professionals will have a profile that features information on their business as well as many of the projects they have done. This is a great tool to not only “Find a Pro” but also get ideas for your new DREAM KITCHEN!